It's midterm time for most college students, & everyone knows that midterms equal lots & lots of stress. I had my hardest midterm yesterday, & am so happy it's over! This week I still have a few more midterm things on the agenda & then next week I have October Break, but even after break I have a packed schedule with school work. Since everyone I talk to is overwhelmed with school too I thought it would be good to share some midterm survival tips. 1. Get some sleep. I know it's tempting to pull an all nighter, but there's a point when you have to stop & get some rest. If you don't sleep you will be exhausted when you take your exam, make your presentation or complete your paper, which will hinder your ability to do your best. Even sleeping a few hours will help, I also favor taking cat naps during the day. With studying I haven't bothered to make my bed so I can just fall right into it at night! 2. Eat healthy. While you're craving junk food (& I am guilty of giving in) it's best to eat healthy during midterms to boost your energy. Eating well balanced meals will keep you full & feeling good. 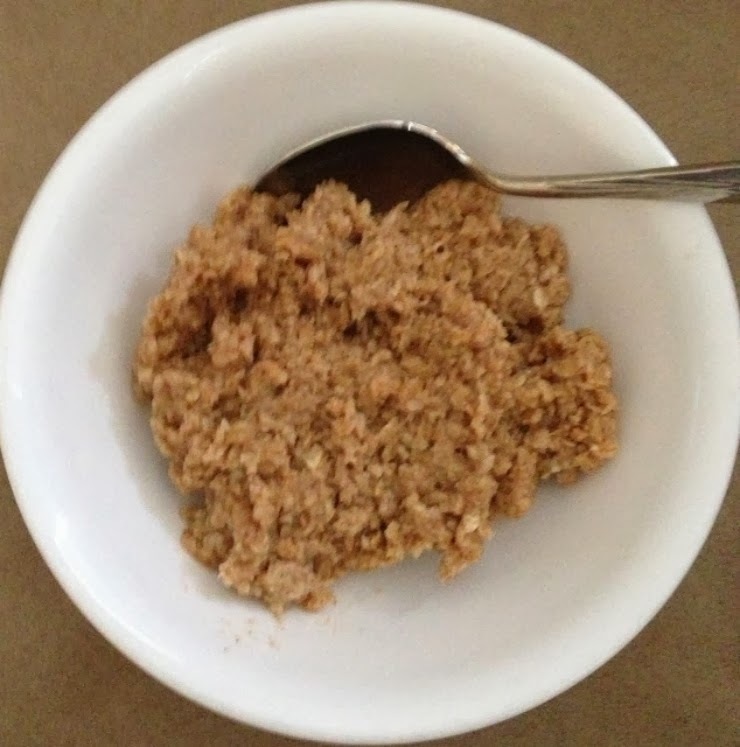 Try my recipe for yummy & healthy oatmeal here. 3. Drink a lot of water. Staying hydrated is super important, & drinking lots of water will prevent you from feeling the energy sucking effects of dehydration. 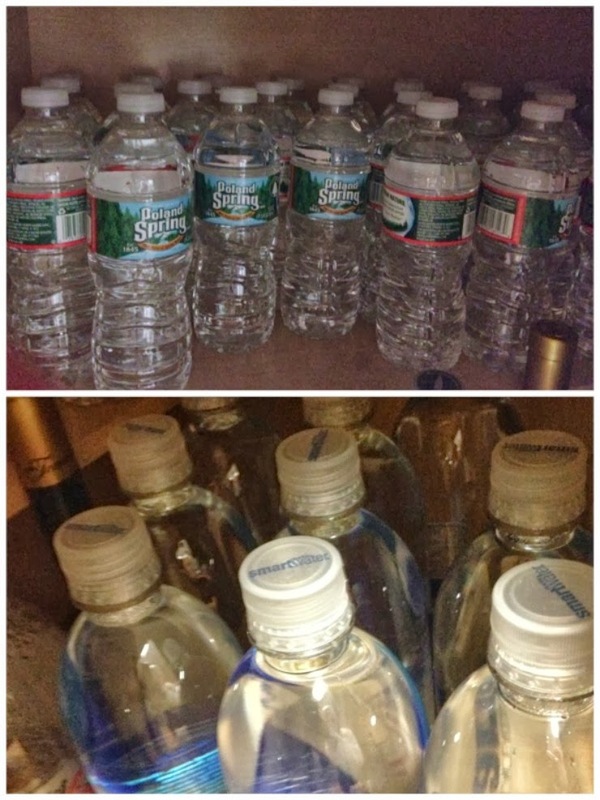 My dad came last week & stocked my water supply, I could seriously survive an apocalypse with all of this water! 4. Take a break. Studying nonstop isn't good for you, you need to take some time to give your brain a break. There are so many great ways to relax: watch your favorite show, cook some dinner, shop, chat with your friends, or a million other fun things. Giving yourself a pedicure is a great way to relax & take break! 5. Exercise. Getting some exercise releases endorphins, which will help you to destress. I like to do a yoga video, it really helps me to get my mind off of all the stresses in my life. 6. Take care of your skin. Stress can cause your skin to freak out so you want to make sure to take care of it. At least take off your makeup at night & wash your face in the morning & at night, to help counteract stress acne. Makeup removing wipes, & oil removing cleansing wipes are a great skincare shortcut. So now that you've heard my survival tips, what are some of yours?